As we prepare for the new issue of NSDN to be released next Tuesday there are a few notes to pass along. - The September/October issue of Sand Sports magazine has been released and includes coverage from WMSD, NSDA, Thunder Valley, and Atoka events in my “Sand Drag Scene” column. This column runs in every issue of Sand Sports, so we recommend subscribing to Sand Sports at www.sandsports.net to ensure not missing an issue. - Next week’s “Video of the Week” is up early this time around. 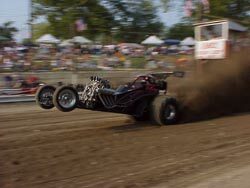 This video, submitted by a visitor to WMSD, is of Tony McWethy’s wild body shedding wheelstand on September 15. Check this out in the “Photo of the Week” section. - NSDN is traveling to Albright Shores Sand Dragway in Gladwin, MI for its annual “Show Me The Money” race this weekend. We’ll have full coverage from this event when the new issue is released, however be sure to check in at our partner site www.sanddragcentral.com for updates from this event throughout the weekend. To see this event’s flyer, click “Read More”. 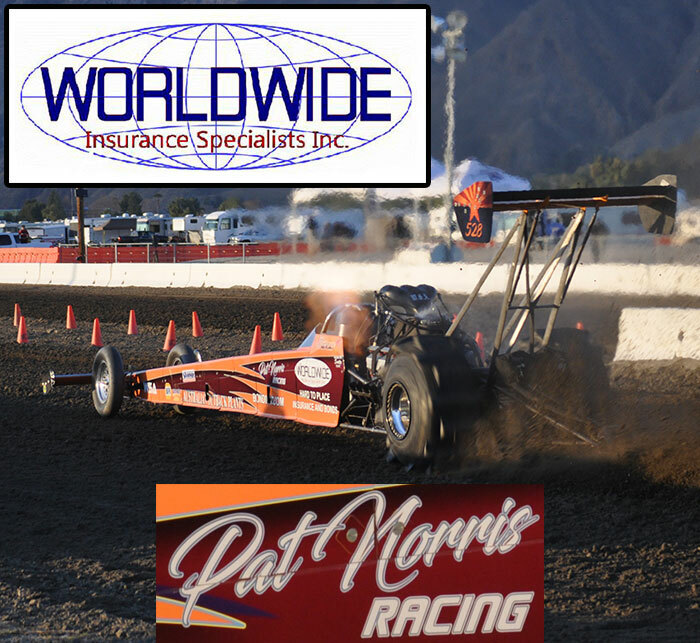 The 2007 WMSD race season finished up with its point series finale on September 22. Rich Wood was able to hang on to take the Pro Point Series title by staying ahead of hard charging second place finisher Randi Vsetula with a win at the last race of the season. Rich wasn't as fortunate in his try to take both point series titles as he went out in round one of ATV handing the Sportsman Point Series win to Tom Bray, who took home the title for the third time. Jordan Lirones won the Junior Dragster Point Series in dominating fashion for the third season in a row. Cody Turnock ended up as the Junior ATV champion. The tightest point series battle was in the Mighty Midgets category as the top three competitors were separated by just one point heading in. Leaders heading into the race John DeBoer and Kelsey Ambs both went out in round one and were passed by Joshua Rammacher, who made it to round to making Rammacher the 2007 Mighty Midget Point Series champion. The NSDA September ’07 Soboba Casino event is now in the record books. Winners in the top three categories were Dennis Rieck (Top Fuel), David Morton (Top Alcohol), and Jeff Mamer (Top Eliminator). Think about it, what is it that “drives” you at the race track? Is it the thrill of winning a round? Is it getting a check at the end of the night? Is it a time to relax amid the chaos that is your day to day life? Is it an adrenaline rush just going down the track? Is it the honor and prestige of winning a certain event and the recognition that comes with it? Is it something that no matter how you try to describe it to someone that has never made a pass down the drag strip, you find while every adjective seems to apply, no one word can really describe how it feels? West Michigan Sand Dragway season hosted its eighth point series race of the season on August 18 followed by the annual “Winner’s Circle Weekend” races on Saturday and Sunday of Labor Day Weekend. The race on September 1 was the ninth point series race of the season while Sunday was a day of special events, as described below. It has only been a couple weeks since the last issue of NSDN, however some great racing has went down in that short period of time. Gravelrama was once again one of the largest events of the season east of the Mississippi, while WMSD put on a great two-day show on Labor Day Weekend. The racing was exceptional, and makes us look forward to the busy month of September with huge events going on all across the country. Dome Valley Raceway hosted their monthly Test and Tune on August 25 playing host to a handful of TE cars, Pro cars and bikes, as well as some junior racers. Low E.T. of the event was set by Mike Erwin with a 3.153 in his blown Chevy-powered TE class dragster. Tiffany Januik debuted her new TE class altered turning a best run of 3.157. Israel Quintero brought his small block-powered TE dragster up from Mexico and ran a best E.T. of 3.208. Art Cronin rounded out the TE cars working the bugs out of his dragster. 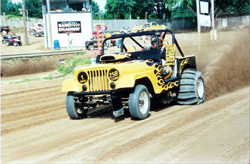 We all know that sand drag racing can best be described as a family sport. We go to the races as a family. We camp at the track together as families. Our children compete in Jr. Dragsters and ATVs, and then play together after their racing is completed. 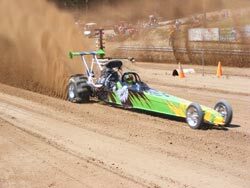 We’ve all seen our sport on TV, and whichever driver is interviewed, they always seem to say they compete in sand drag racing because it is a family sport.